It's not often that we get to see the inner workings of the human body, and the ever-popular “Bodies: The Exhibition” continues to display just that. Using a unique preservation system, over 200 actual human bodies can be seen in ways typically only available to medical professionals. 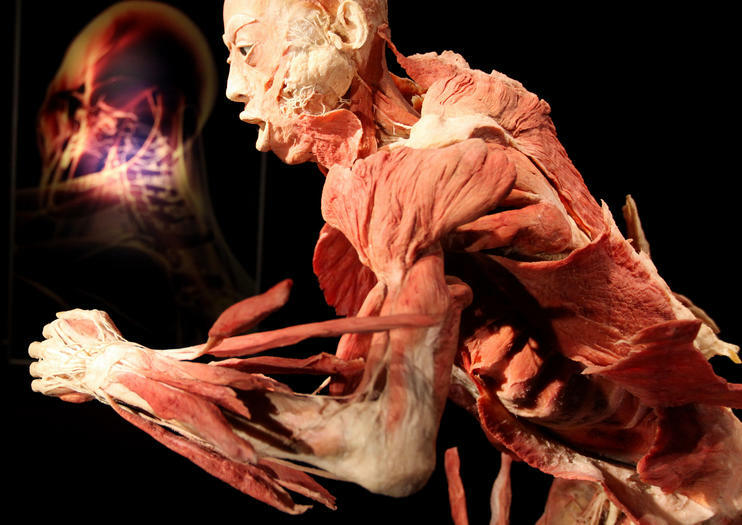 The exhibits are arranged by systems of the body, including skeletal, muscular, nervous, digestive, respiratory, reproductive, urinary, and circulatory. The eye-opening displays are highly educational, and the chance to see the complex inner workings of the human body is unforgettable. The exhibition is also a great way to learn about the history of anatomy from ancient times to the latest modern technologies. Families of all ages are welcome to attend, though young children should be supervised by an adult during their visit. The exhibition exists in multiple cities across the world, and is highly popular as a part of tours of Atlanta. Bodies: Atlanta is located in the Premier Exhibition Center at Atlantic Station, on 18th Street. It’s on level two of the building near escalator 5. Admission costs $24 for adults and $16 for children, though a few dollars can be saved by purchasing online in advance. Audio tours are available for rent for $5, with a special separate audio track available for children.